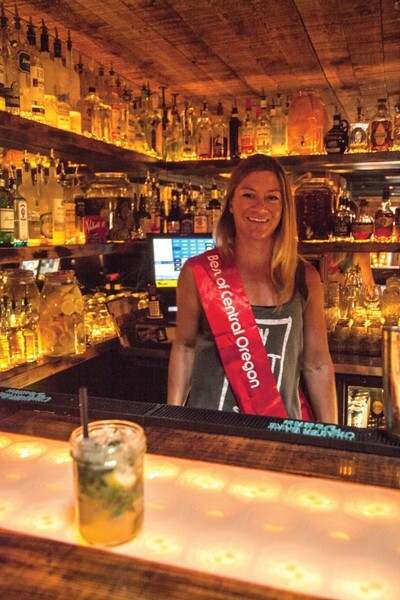 A bartender for nearly 20 years, Cori Hamilton first started at Monet's Garden, a popular bar that she launched in the '90s. "It was originally a way to pay my way through school," she explains. "Then I realized the schedule, co-workers, creating cocktails and friends that I make in this business are exactly what I need in my life, and I love them and it." That has kept Hamilton in the business—and, in 2009, she opened the popular downtown Velvet, a bar that both exudes urbane cool and rustic charm, a mix that draws from her personality as both the owner and popular bartender.